CRYSTAL STRUCTURE OF THE 70S THERMUS THERMOPHILUS RIBOSOME SHOWING HOW THE 16S 3'-END MIMICKS MRNA E AND P CODONS. 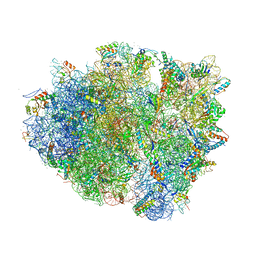 Authors: Jenner, L., Yusupova, G., Rees, B., Moras, D., Yusupov, M.
Cite: Structural basis for messenger RNA movement on the ribosome. CRYSTAL STRUCTURE OF THE 70S THERMUS THERMOPHILUS RIBOSOME WITH TRANSLOCATED AND ROTATED SHINE-DALGARNO DUPLEX. 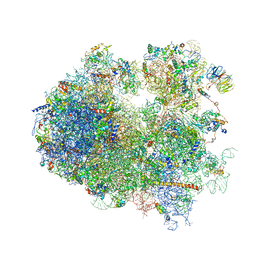 ELONGATION COMPLEX OF THE 70S RIBOSOME WITH THREE TRNAS AND MRNA. Authors: Jenner, L.B., Yusupova, G., Yusupov, M.
Cite: Structural aspects of messenger RNA reading frame maintenance by the ribosome. INITIATION COMPLEX OF 70S RIBOSOME WITH TWO TRNAS AND MRNA. 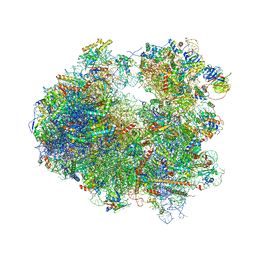 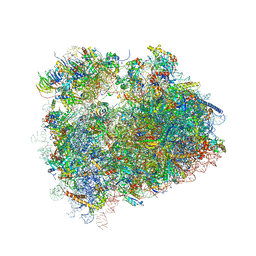 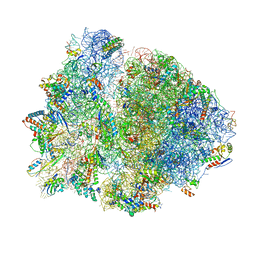 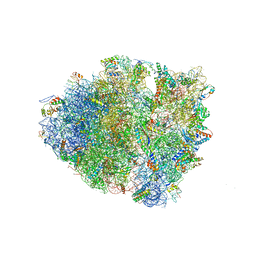 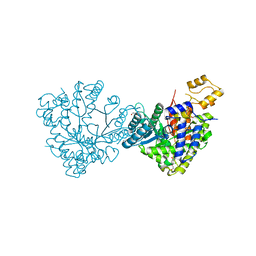 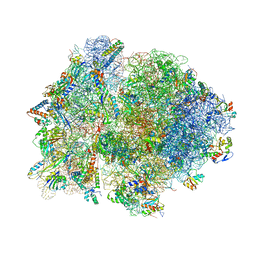 Authors: Ben-Shem, A., Jenner, L., Yusupova, G., Yusupov, M.
Cite: Crystal structure of the eukaryotic ribosome.